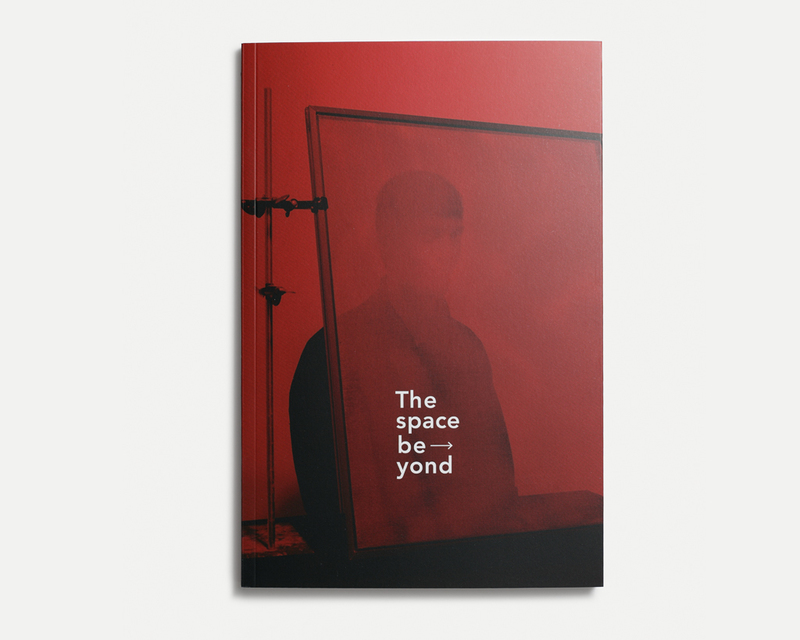 This year saw the publication of The Space Beyond, a catalogue edited by Katharina Bosse featuring some highly sophisticated work by five young German photographers. The book itself is rather small (16x24cm, 64p.) which makes it easy to hold. It boasts a punchy cover of a darkroom interior and very appealing graphic design. The images are diverse in nature and different sections of the book would appeal to different people. Bosse has made the unusual decision of not giving every photographer a certain amount of pages, as if in a chapter, but has mixed them all up instead. This has resulted in a very lively piece of work, keeping your attention until you finish it. There is a bit of humour (tattooed male nudes imitating female poses from the Renaissance), a bit of conceptual art (layered files from archived hard drives), as well as everything in between. The Space Beyond finishes with two pages dedicated to each artist and the editor, thus giving the viewer the opportunity to see all images at once for the first time in the book. Zak Dimitrov spoke to Katharina Bosse and the photographers in a series of interviews which will be published over the coming weeks. Zak Dimitrov: I know that all the artists in The Space Beyond are your students. How did you come to choose them, do they stand out from the rest in any way? 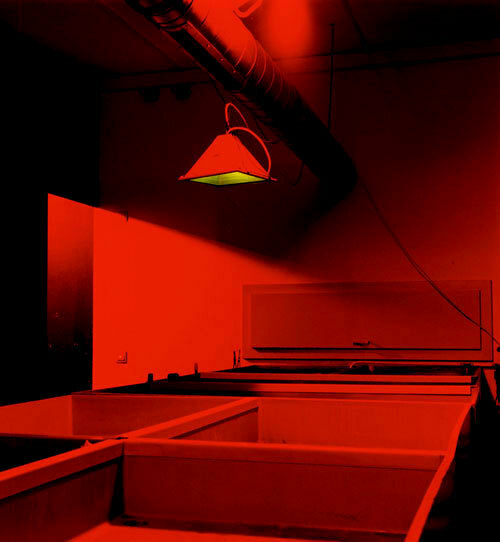 Katharina Bosse: The artists graduated between 2009-2014 from Bielefeld University of Applied Sciences, Faculty of Arts and Design. This is not a best-of selection; there are great projects I had to leave out because they did not fit the concept, or due to lack of space. ZD: What links them together in your opinion? KB: I was looking for the way photography speaks about the absent, how an image references what it does not show. Also, some kind of lush aesthetic quality, something that would make the viewer aware of the concept not just in theory, but as a physical experience. A German photography different from the Becher School in Düsseldorf. With a defined theory, but more experimental, closer to the photographic process itself, referring back to Moholy-Nagy and Surrealism. ZD: The layout of the book is rather unusual in that the photographers are mixed together as opposed to given a separate section. What made you choose to present the work in this way? KB: I curated the show for a specific location, the Camera Club of New York, in which the images would have to work closely together to form a coherent story. I did not use individual walls for each artist. I chose specific images from each body of work, and made trial installations with B-prints in the original size to find out about how they would interact. When I looked at the first draft of the catalogue, with each artist in a section of his or her own, there was no communication between the works. The differences between their projects' content and aesthetic became emphasised. I emailed everyone and told them it would have to be done in a free-form layout. The sequencing is based on colour, rhythm, compositions, and visual metaphors. I did not want a magazine-style hierarchy in the images, so they are all pretty equal in size, of course in variations due to the format in which they were shot. Getting the colours right in offset was a big concern, as the logic of the sequence is based heavily on colours. In the back of the catalogue, each artist regains his/her own space: a double page to present each body of work, and biographical information. ZD: The graphic design is very interesting, it makes use of negative space. Was this deliberate and do you think it enhances the work itself? KB: The catalogue’s designer Dirk Sonnenberg told me, “The deliberate use of negative space allows me to give different works from different artists the same importance, independently of different picture sizes.” For me, there is no difference between negative space and designed space; you create always both at the same time. Negative space shapes the Layout and guides the eye of the reader. Less or more negative space can give the layout object also a different importance. In this particular catalogue the negative space holds the pictures tight in the layout and let them breathe at the same time. ZD: Another book you've edited, Surface Tension, deals with the subject of the grotesque and the carnivalesque. It reminds me of Exceptional Encounters by Paula Winkler because it has that humorous style. Was it important for you to choose a work that is similar to what you have done in the past? KB: I relate to all of the works not only as a curator but from my experience as a photographer: The ghosts of darkrooms (especially when I have been working too long at night), reflections on photography as an industrial process of sampling and destruction, the melancholy of memories captured on film grain, the reconstruction of space in the photographic plate. I do see a resemblance between Paula’s work and mine in its approach to the sexualised body in space (and, yes, the humour). I am curious to see her new work, and there will be less of what I am familiar with in it. ZD: What are you working on at the moment? KB: I am showing the Motherhood self-portraits, and curating an international traveling exhibition with a number of artists (working in various media) about theatre in the Third Reich.